The Ricardian Vice is well evidenced by Ricardo’s arithmetic example that became the foundation of international trade theory. If it were true that the machinery for producing wine could be converted (at no cost and with no loss of productivity) into machinery for producing cloth and vice versa, then it would also be true (assuming continued full employment, and less controversially the capacity for a vigneron to retrain as a shepherd, and vice versa) that the ending of autarky and the overnight opening up of free trade between England and Portugal would have increased the aggregate output of both industries across the two countries. Ricardo’s conclusions follow from his premises. But his premises are manifestly false. Had there been any English vineyards, they and their attendant machinery would have been rendered worthless and scrapped. Portuguese vineyards would have expanded their production to take advantage of a new market. Similarly, Portuguese cloth manufacturers would have found their machinery—what there was of it—rendered valueless, for England’s far more mechanized cloth manufacturers would have expanded their output as well. Whether the aggregate production of wine and cloth increased or decreased now depended both on economies of scale and the macroeconomic effects of changes in trade policy. Of course, the most complex issues surrounding the impact of trade are macroeconomic: will trade liberalization lead to higher or lower employment, to higher or lower investment, to higher or lower growth? Here, economists have not disappointed: from Ricardo on, they have completely shirked these issues. This could only be advantageous “to the consumers in both countries” if their incomes were unaffected by the shift—and Ricardo simply accepted that they would be. Here he was probably relying on his expressed belief in “Say’s Law” that “demand is only limited by production,”13 but without considering whether, if production fell in England by the transfer of all its wine and cloth production to Portugal, employment, wages, and consumption in England would also fall. Ricardo cannot be faulted for not anticipating a future in which, shorn of the need for the owner of capital to emigrate with his money, financial capital would be as mobile as it is (and often accompanied by the movement of physical capital as well). But his followers can be faulted for dismissing the macroeconomic and social consequences of practices that Ricardo was unable to contemplate. Assumption (b) continued Ricardo’s practice of ignoring the impact of trade on machinery. When pressed as to the meaning of assumption (a), Powell explained that it meant the modeling exercise assumed that aggregate employment would be unaffected by the tariff cut: the modelers simply assumed that falls in employment in once-protected industries would be precisely offset by gains elsewhere. 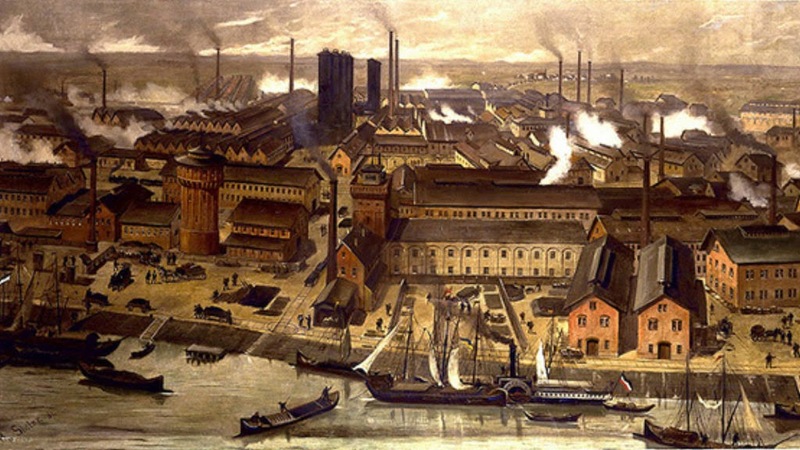 Thus, although they claim to be experts on the effects of trade policy and argue almost unerringly for liberalization over protection, economists have not yet even asked the questions that are crucial to the real-world impact of trade liberalization: what does it do to the level and distribution of output, income, and employment? Given that economists have not even considered these issues, it is not surprising that other researchers who have done so have reached conclusions that are diametrically opposed to the biases of economists. By analyzing the enormous Standard International Trade Classification database of international trade flows, data scientists at Harvard University, working on what they have christened The Atlas of Economic Complexity,19 have found that diversity, rather than specialization, leads to national success in international trade. Their methodology was to classify products on the basis of their “ubiquity,” which they defined as how many countries exported the product, and countries on the basis of “diversity,” which they defined as how many products a given country exported. The theory of comparative advantage would lead you to expect that in a world with very low trade barriers—basically the modern globalized world—most countries would have specialized trade profiles, so that they would score low in both ubiquity and diversity. This proved to be true of underdeveloped economies like Ghana, in which the top three exported products—fuels, precious metals, and cocoa—make up 81 percent of its exports. But it was not true of advanced economies like Germany, where the top three products account for only 46 percent of its exports. Nuclear reactors and boilers accounted for 18 percent of Germany’s exports, but Germany also exported a wide diversity of goods—including “pearls, stones, precious metals, imitation jewelry and coins” at almost 1 percent. The success of this index in predicting which countries are likely to outperform growth expectations in the future was related to the role of product diversity within a country, which enable new products to be invented. The authors of The Atlas found that a country was more likely to develop a new product if the country had other industries which were close to that product in a third metric they called “proximity.” Technically this was measured as the likelihood that a country exported one product given that it exported another; practically, it indicated that invention of new products required knowledge of existing, closely related products. A country with a diversified export profile (and by implication a diversified industrial base),25 rather than one with a specialized portfolio, is more likely to have the product proximity that allows new products to be invented and the economy to grow. These empirical conclusions point out the key blind spot in the conventional definition of economics. Robbins’s definition emphasizes allocation over innovation: the better allocation of existing, multiple-use resources to the satisfaction of existing, known wants. But real-world growth comes from innovation rather than allocation—the development of new products via the combination of knowledge from different but related industries. It relies upon combining knowledge embodied in single-use resources—in the form of both highly specialized workers and highly specialized machines—rather than multiple-use ones. This knowledge is more likely to exist in countries with diversified industrial systems, rather than specialized ones. These empirical findings also cast a very different light on the populist revolts that are currently disturbing the pro-globalization consensus, which has dominated economic policy for the last thirty years. These revolts are not unthinking reactions against rationality, as mainstream economists like to believe, but reactions to the failure of the real world to conform to the irrational thinking of economists, and the damaging policies that have been imposed by politicians following their advice. Thirty years of trade policies pursuing the false promise of specialization have meant that residents of the Rust Belt states of the United States, and the economically depressed regions of the United Kingdom, can now compare the promise of globalization with the reality. They voted against globalisation, not because they were too intellectually limited to perceive its benefits, but because experience gave them the lens through which to reject the Ricardian Myth of the advantages of national specialization. The fundamental message of The Atlas is the opposite of the dogma preached by economists ever since Ricardo—and given the flimsy foundation of the comparative advantage argument, this is hardly surprising. But it is revelatory nevertheless: the secret to success in trade and economic progress, in general, is not specialization, but diversity. 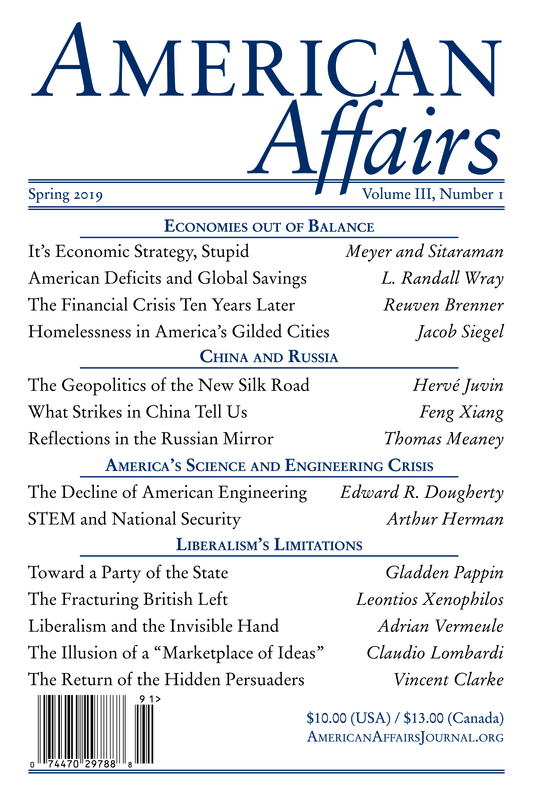 This article originally appeared in American Affairs Volume I, Number 3 (Fall 2017): 17–30. 1 Adam Smith, An Inquiry into the Nature and Causes of the Wealth of Nations: A Selected Edition, ed. Kathryn Sutherland (1776; Oxford: Oxford University Press, 1993) 12–13. 2 “England may be so circumstanced, that to produce the cloth may require the labour of 100 men for one year; and if she attempted to make the wine, it might require the labour of 120 men for the same time. . . . To produce the wine in Portugal, might require only the labour of 80 men for one year, and to produce the cloth in the same country, might require the labour of 90 men for the same time. It would therefore be advantageous for her to export wine in exchange for cloth. This exchange might even take place, notwithstanding that the commodity imported by Portugal could be produced there with less labour than in England.” David Ricardo, On the Principles of Political Economy and Taxation, vol. 1 of The Works and Correspondence of David Ricardo, ed. Piero Sraffra (Indianapolis: Liberty Fund, 2004), 135. 3 Lionel Robbins, An Essay on the Nature and Significance of Economic Science (London: Macmillan, 1932). 4 Smith, Wealth of Nations, 15. 5 Luigi L. Pasinetti et al., “Cambridge Capital Controversies,” Journal of Economic Perspectives 17, no. 4 (Autumn 2003): 227–32. 7 “The difference in this respect, between a single country and many, is easily accounted for, by considering the difficulty with which capital moves from one country to another, to seek a more profitable employment, and the activity with which it invariably passes from one province to another in the same country.” Ibid., 135–36. 8 Joseph A. Schumpeter, History of Economic Analysis (New York: Oxford University Press, 1954), 472–73. 10 Paul Krugman, “Scale Economies, Product Differentiation, and the Pattern of Trade,” American Economic Review 70, no. 5 (Dec. 1980): 950–59. 15 Steve Keen, ed., Trade: To Whose Advantage? (Canberra: Centre for Continuing Education, 1980). 16 Alan A. Powell, “The Case for Trade Liberalisation: A Brief Statement,” in Trade: To Whose Advantage?, 99–112. 18 Hirokazu Ishise, “Capital Heterogeneity as a Source of Comparative Advantage: Putty-Clay Technology in a Ricardian Model,” Journal of International Economics 99 (March 2016): 223. 19 Ricardo Hausmann et al., The Atlas of Economic Complexity: Mapping Paths to Prosperity (Cambridge: MIT Press, 2014). 20 The Atlas of Economic Complexity, online visualizations, http://atlas.cid.harvard.edu/explore/tree_map/export/gha/all/show/2015/. 25 There is no comparable database of domestic production to the SITC database of international trade broken down by product type, but the authors infer that a diversified export portfolio implies a diversified system of domestic production. Steve Keen is professor of economics at Kingston University in London and the author of Can We Avoid Another Financial Crisis? (Polity, 2017) and Debunking Economics: The Naked Emperor Dethroned (Zed Books, 2012). Find him on Patreon here.